All Silversea tours, river cruises, expedition cruises, and adventure trips. Find the best guided trips and expert planned vacation and holiday packages. 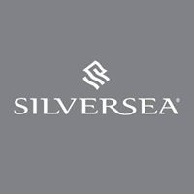 Average rating of 5.0 for all Silversea trips. Cruise into deep fjords with active glaciers and spectacular icebergs. Learn of Greenland’s native Inuit. Explore ancient Norse and Viking sites. Discover the cultures of remote Greenlandic towns. Identify seabirds and watch for whales. Visit the world’s smallest capital and fastest moving glacier. See the famous Qilakitsoq mummies.